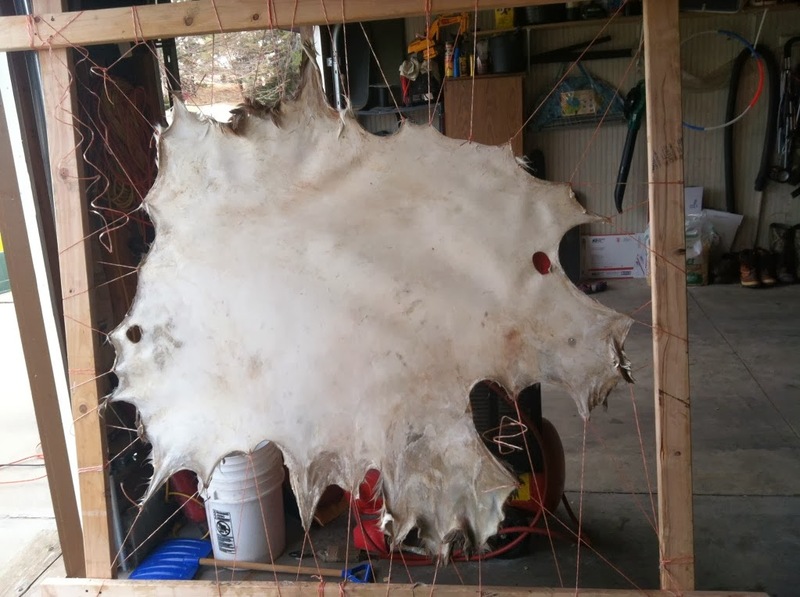 Some already know, but to those that don't I make all my own rawhide. Mostly deer, but some elk and antelope when I get a hold of the hides. Here are the latest, since it was nice last week, and they unfroze! And since I am making these just for sheath work, I am able to put some character in them, that bought ones dont have. I didn't scrape all the hair form the edges, so I can use them for the fronts of sheaths. 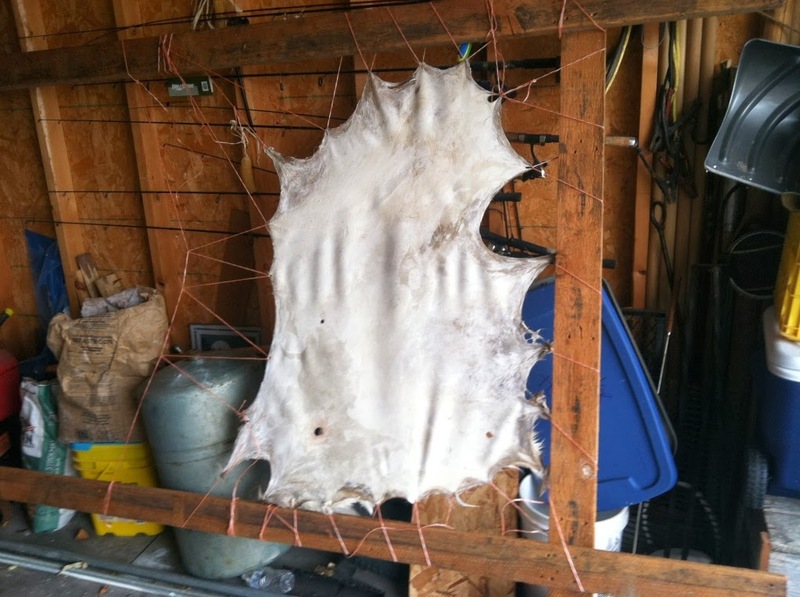 And I have found that how the dye goes in, depends on how much scraping you do on the hide.